Carol Rosegg The Ethos Percussion Group performs at Vassar College on March 23. There's a fantastic clip on YouTube of a 2009 Library of Congress performance of "Mambo," a piece by Ghanian master xylophonist Bernard Woma. Alongside the composer and Guinean drummer M'Bemba Bangoura, the four members of Ethos Percussion Group—Trey Files, Michael Lipsey, Eric Phinney, and Yousif Shernonick—bang out the tune's hip- and shoulder-shaking rhythms on African drums and xylophones, cowbell, and shakers. It isn't long before the musicians are joined on stage by a gang of gyrating, besuited audience members who've surrendered wholeheartedly to the music's pull. And if attendees at Ethos Percussion Group's concert at Vassar College on March 23 want to do the same, well, that's all right with the band. "We definitely get a kick out of it when that happens," says Files, a Vassar faculty member since 2011. "Our roots are in the chamber music tradition but we're also of a younger generation—we're not as 'formal' as some other ensembles can be." Now nearing its 25th year, Ethos's singular approach of combining a contemporary classical repertoire with non-Western traditions has seen the group performing works by composers like John Cage, Philip Glass, Lou Harrison, and Frank Zappa and working with musicians from around the world. 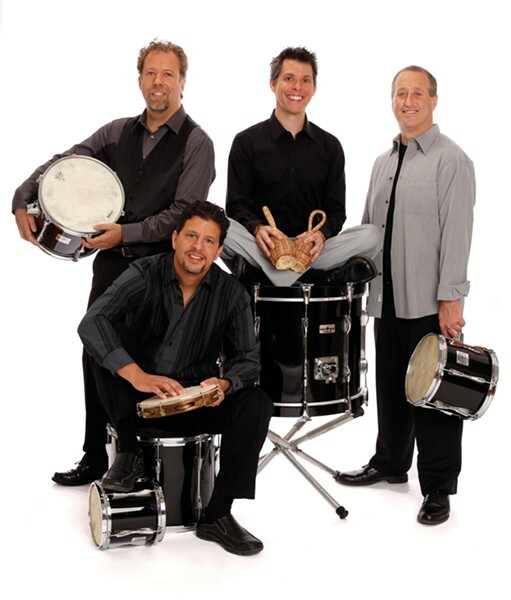 The quartet has played at major concert venues across the US and the UK, including Carnegie Hall and Lincoln Center, and collaborated with the Kansas City Symphony, Grammy-winning frame drum master Glen Velez, and North India's tabla master Pandit Samir Chatterjee and sarangi master Ramesh Misra. The Vassar program offers the perfect snapshot of the Ethos ethic: Part One of Steve Reich's essential 1971 work "Drumming" and "The Guiros Talk," a new work written for the quartet by Cuban-born percussionist and 2011 MacArthur Fellow Dafnis Prieto. "I learned to play 'Drumming' from one of the drummers who actually premiered the work with Reich, so there's a direct contemporary lineage there," Files says. "Yousif had worked with Dafnis before, so that's how we ended up commissioning him to write 'The Guiros Talk' for us." The folk music-influenced latter composition has two movements; the first segment uses only four guiros—the familiar Latin-American percussion instrument made from a hollow, open-ended gourd and played by rubbing a stick across its notched surface—while the second utilizes fuller Latin percussion. "[Ethos's members] are all conservatory trained, but we each have our own area of expertise," explains Files, who recently played the drum kit for Green Day's award-winning Broadway musical "American Idiot." "I'm from a pop rock and African drumming background; Eric intensively studied Indian tabla; Yousif's specialty is Middle Eastern music; and Michael's main influences are Afro-Cuban." 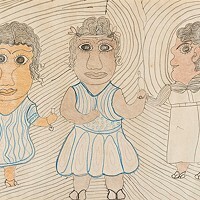 And therein lies the secret recipe: The ways in which the foursome stirs together its contemporary and world music makeup makes for one magnificent—and, if you're not careful, very danceable—stew. Truly a meal not to be missed.